Aabot Fence has been a leading full service commercial fence installer in the greater Florida area for the past 30 years. We are fully insured and bonded for all levels of jobsite operation. Our skilled workforce, professionalism, quality products, and dependable customer service have helped us build a reputation as a leader in the commercial/industrial fence construction industry throughout Florida. We pledge we will continue to deliver the information and resources you need to make an informed security fence decision for your project. We are a privately owned company founded in 1982. Our clients include colleges and universities, cities and counties, governmental agencies, commercial and residential developers, penitentiaries, hotels, hospitals and health-care facilities. We carry a full line of permanent and temporary fence products, such as chain link fence, aluminum fence, vinyl fence, or wood fence. In addition, we specialize in security barriers and perimeter security with high quality automated control access systems. 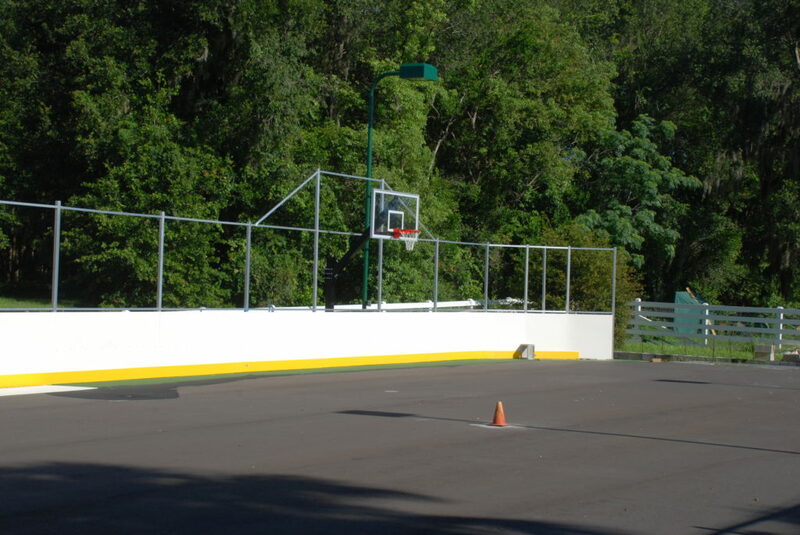 We also provide and install guardrail and handrail systems. Each member of our team strives to find creative solutions to satisfy the special needs of every project. The result is successful projects and repeat clients.